CEC, a systems and technology integrator based in Hiawatha, IA, has begun providing a new lighting technology that uses ethernet cables to power and control LED lighting fixtures. Through a partnership with Innovative Lighting, a developer of LED technology, CEC offers LED lighting design, integration, and technical services. As the Internet of Things (IoT) continues to grow, this PoE LED lighting can be connected to any network environment to provide building owners and facilities managers with several time- and money-saving benefits. Instead of using expensive, heavy-duty copper wire and conduit, cost-effective ethernet cables are used to power, control, and connect Innovative Lighting’s GENISYS PoE lighting systems to the network. This lighting technology is based on a low-voltage platform, and will help CEC customers achieve major energy reductions. This technology also makes lighting moves, additions, and changes simpler, allowing building owners and facilities managers to make adjustments when needed without assistance from a third party. 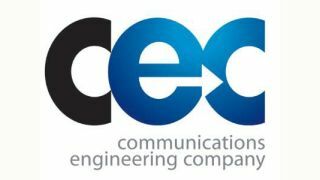 “We’re thrilled to partner with CEC to help businesses, schools, hospitals, warehouses, hotels, and government agencies across the Midwest take advantage of PoE lighting technology that is easy to use, saves energy, and reduces installation and maintenance costs,” said Jerry Handsaker, president and CEO at Innovative Lighting.